When I was a teenager, Amy Tan was one of my favorite authors. Her provocative novels about the experience of Chinese immigrants and their children were an inspiration and gave me a glimpse into another culture. This year marks the 25th anniversary of Tan’s bestselling novel The Joy Luck Club. Penguin is releasing a new drop cap edition of the book, which will go on sale on April 30. As part of the promotion surrounding the book, the publisher has offered to let me give away a copy of the Penguin Classics edition of The Joy Luck Club. To enter, use the Rafflecopter below. This giveaway is open to US/Canada only. 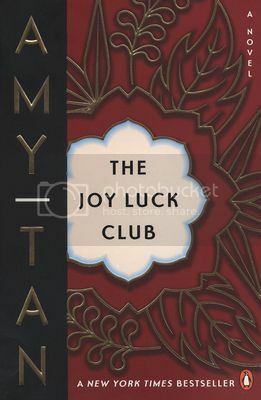 I have always wanted to read The Joy Luck Club but have never gotten around to it. I would love to win this :). Thanks for the contest!